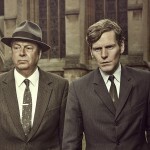 Shaun Evans is back at it both in front of and behind the camera as Endeavour returns for its 6th series beginning Sunday, June 16 at 9pET / 8pCT on PBS (February 10 on ITV). 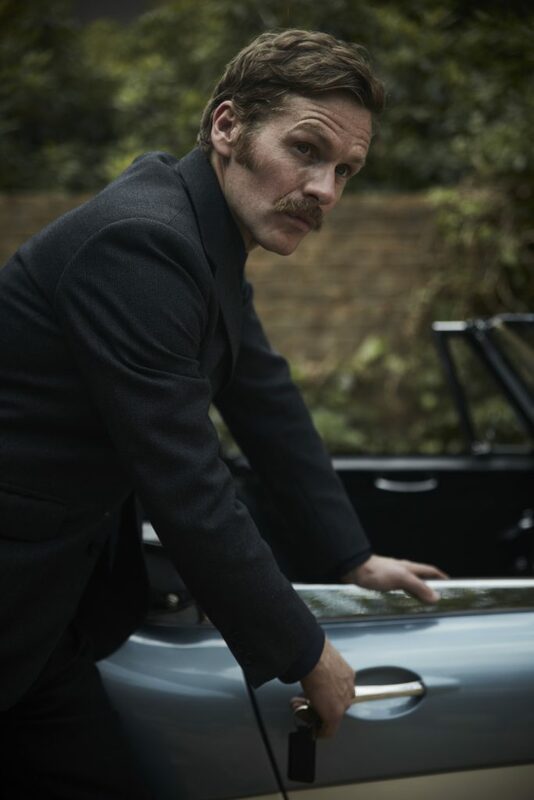 Sporting a new look complete with a moustache sadly indicative of the time period, Evans will put his directorial mark on the show when he heads behind the camera for the second feature-length film in the series. Series 6 will begin in 1969 with the story picking up right where we left Oxford and the somewhat shocking game-changer ending to series 5. When series 5 came to a close, DC Fancy tragically died in gang rivalry crossfire with his murder remaining unsolved, WPC Shirley Trewlove has moved on to Scotland Yard and the Cowley station is closed as part of the Oxford City Police folding into the Thames Valley Constabulary. And, for obvious reasons, Thursday’s retirement looks to be on hold given the reality of his savings having vanished courtesy of his gambling brother. And, to top it off, Morse and Joan may actually go for a coffee this series! Unlike series 5, which expanded to 6 episodes, the newest series will revert back to its traditional 4 standalone episodes. Titles for the first two episodes have been revealed as episode 1 titled “Pylon” and episode 2 titled “Apollo”. 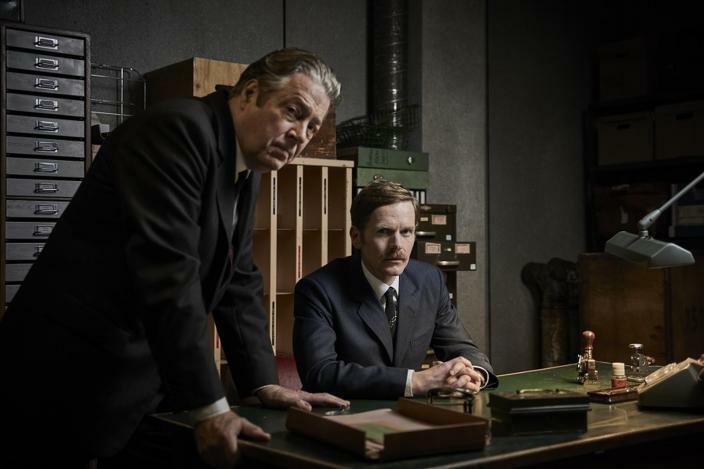 In addition to Evans, Roger Allam returns as DI Fred Thursday, as will Anton Lesser as CS Reginald Bright, Sean Rigby as DS Jim Strange, James Bradshaw as Dr Max DeBryn, Sara Vickers as Joan Thursday and Caroline O’Neill as Win Thursday. Abigail Thaw, the late John Thaw’s daughter, will also return as Dorothea Frazil. 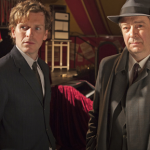 Sadly, a couple of familiar faces won’t be returning for the new episodes, with actors Lewis Peek (who played DC George Fancy) and Dakota Blue Richards (WPC Trewlove) both bowing out after the series five finale. 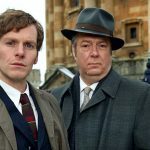 Moustache and all, Endeavour S6 will premiere on Sunday, June 16, 2019 at 9pET/8pCT as part of PBS’ Masterpiece series. S6 will premiere on Sunday, 10 February on ITV.